Friendswood, League City and Kemah are waiting to welcome you home. Let Nationwide Movers help get you there. Located around 30 miles from downtown Houston, the main artery is I-45. Surrounding these cities are the following: Houston, Galveston, Pearland, Alvin, Nassau Bay, Clear Lake and Dickinson. So many subdivisions are waiting for your arrival with Nationwide Movers, Houston, such as: Autumn Creek, Polly Ranch Estates, Lakes of Falcon Ridge, Friendswood Lakes, Bay Ridge, Calden Estates, Lilly Gardens, Retreat in Bay Colony, Bay Breeze, Laguna Vista Estates, Kipp Avenue Townhomes and Marina Del Sol. 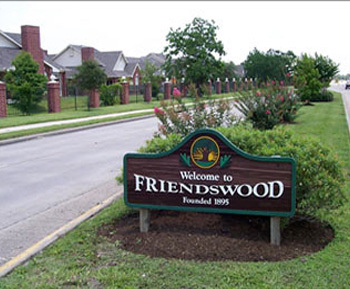 Friendswood Independent School District serves the communities in providing excellent education for all children. Adults can enjoy furthering their education at League City College, College of the Mainland and Kemah School of Photography. Nationwide Movers will relocate you and your family to your new home with as much care as if your family was ours. Residents of Friendswood, League City and Kemah have access to some of the finest medical facilities in Texas, such as: Christus St. John Hospital, Memorial Hermann Southeast, League City Hospital, Clear Lake Medical Center, Houston Physicians Hospital, Triumph, Cornerstone and Clear Lake Rehabilitation. For your travel needs George Bush Intercontinental Airport (IAH) is only around 40 miles away and Hobby Airport is only about 25 miles away. Parks and museums stand at the ready for your next outing, including: Centennial Park, Old City Park, Leavesley Park, Renwick Sports Complex, Stevenson Park, 1776 Memorial Park, Friendswood Sportspark, Countryside Park, League Park, Bayridge Park, Rustic Oaks Park, Helen’s Gardens, Heritage Park, West Bay Common School Museum, Butler Longhorn Museum, Kemah Trails, Old Kemah School Museum and Old Kemah Railroad Station Museum.Nationwide Movers is ready to deliver your picnic basket and walking shoes right to your new front door. Shopping has never been so delightful than here! Shop ’till you drop at the Baybrook Mall, Mall of the Mainland, League city Historic District and Kemah Lighthouse Shopping District. There is a shop here for everyone, even the most picky of costumers can find something of interest. Get ready to have some fun at the many attractions and these cities have to offer, such as: Fun City Sk8 & Play, Jump n Jungle, The Sports House, Fun Max Jump In, Main Event, Gulf Freeway 500 Go Carts, Big League Dreams, Walter Hall Park, South Shore Harbour, Al’s All American Concealed, Boardwalk Charter Yachts, Boardwalk Bullet, Captain Kidd Cruises, Cool Zone, 4D Theatre starring Spongebob Squarepants, Joe’s Boardwalk Beast, Park & Float Ferry, South Coast Sailing Adventures and Sting Ray Reef. Nationwide Movers will locate your family in one of Houston’s finest outlying communities. There are several events to attend in these communities, including: Annual City of Friendswood 4th of July Celebration, Spookfest Softball Tournament, Concerts in the Park, Fun on the Ranch, Barefoot in the Park, Texas Music Festival & Village Fair, Oak Tree Festival, Holiday in the Park, League City Music Festival, Yachty Gra Boat Parade, Aids Walk Houston, Crawfish Festival, Annual Buffalo Bayou Regatta and Paws for a Cause Dog Walk. Star Fleet Yachts, The Admiral on Clear Lake, Butler’s Courtyard, Friendswood Event Center and The Green Event Center offer great venues to hold any party or event. Ready to start the best part of your life? Let Nationwide Movers help you get to your new home in the Friendswood, League City, Kemah area.